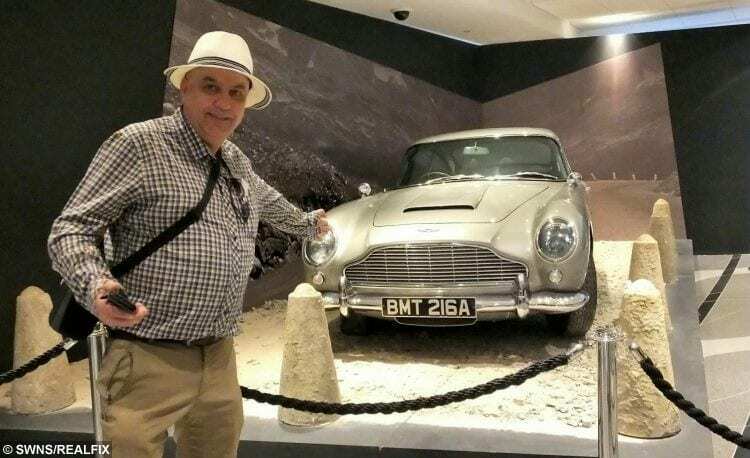 Brave Ron Flewett is involved in a dramatic race against time – to complete his mind-boggling ‘bucket list’ of visiting 50 countries before he dies. 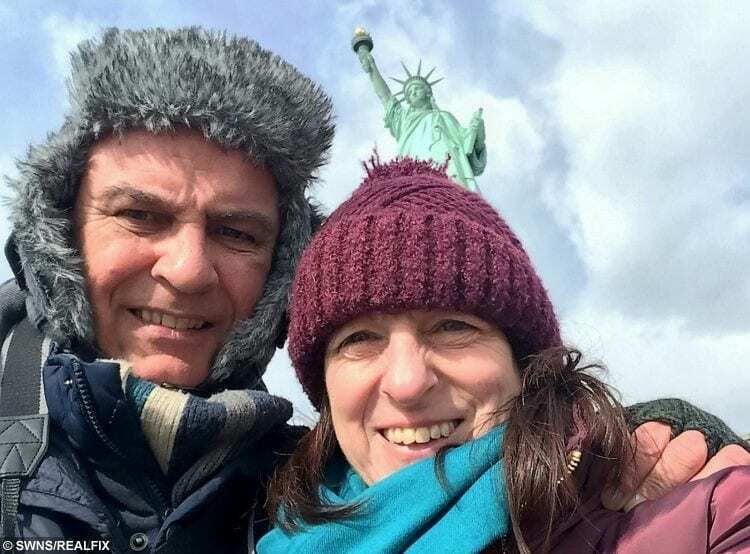 Dad-of-two Ron, 56, and wife Maxine set themselves the globe-trotting goal after he was diagnosed with idiopathic pulmonary fibrosis (IPF) in 2014 and given three to five years to live. 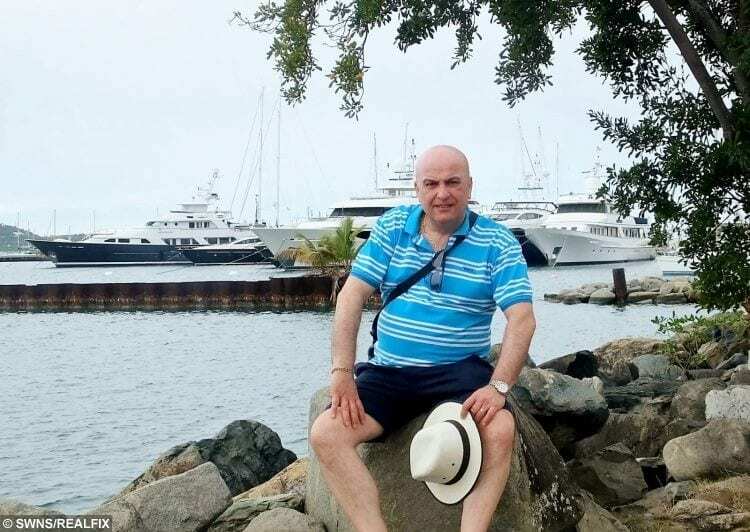 Incredibly, Ron has already splashed out around £20,000 clocking up ten of thousands of miles ticking off 33 countries, islands or territories including the Caribbean, Morocco and the United Arab Emirates – in just 17 months. And his courageous quest will see him visit another 12 nations including Iceland, Alaska, Colombia and Jamaica before the end of November. Ron Flewett and wife Maxine in New York, USA. Yesterday, Ron, of Torksey Lock near Gainsborough, Lincs., said: ”When I was first diagnosed with IPF I was absolutely devastated. ”My whole world fell apart. Maxine and I were up all night crying. Maxine said she had finally found her true love – and now she was going to lose me. ”There is no easy way of dealing with news like that. ”But then a few days later Max said to me ‘Right, what do you want to do? Let’s make a list’. ”And that was how it began. Keen triathlete Ron, who is also a step-dad of two girls, became concerned about his health when he began to struggle for breath as he trained for an event in late 2012. He visited a local GP in Gillingham, Kent where he lived at the time, but was told ‘don’t come back’ after a scan proved negative for any illnesses. Ron Flewett in St Vincents, Caribbean. After moving to Lincolnshire in 2013 Ron’s condition began to worsen, and he became breathless just trying to walk up a flight of stairs. Ron underwent a series of tests and was finally given the tragic diagnosis in April 2014. Former company secretary and foster carer Maxine, also 56, was by her then fiancé’s side when doctors gave them the heart-breaking news. Ron’s current lung capacity is 54 per cent, and he is living with the knowledge a cough, cold or other infection could strike him down at any moment, dramatically reducing his lung capacity and leaving him requiring oxygen around the clock. The disease – which kills 5,300 people every year, one in every 100 deaths in the UK – creates a build-up of scar tissue in the lung which makes them thick and hard and less able to take in oxygen. Regardless of treatment, people with IPF, which usually strikes those in their late 40s or early 50s – on average only live for around three to five years from diagnosis. Ron Flewett and wife Maxine on their wedding day, March, 2016. As they came to terms with the life-changing news Ron and Maxine created a spread-sheet of countries they planned to visit. It all began with a cruise in December 2015 when they went to Morocco, Menorca, Madeira and the Med, including Gran Canaria, Lanzarote, Tenerife and Las Palmas. In April 2016 they flew to the Caribbean and visited Barbados, St Marteen, the British Virgin Islands, St Kitts, Antigua and St Vincent, before cruising around Italy, Sicily, Corsica and Greece in October 2016. In January this year, they headed off on another cruise to Dubai, Oman, Abu Dhabi and Qatar. 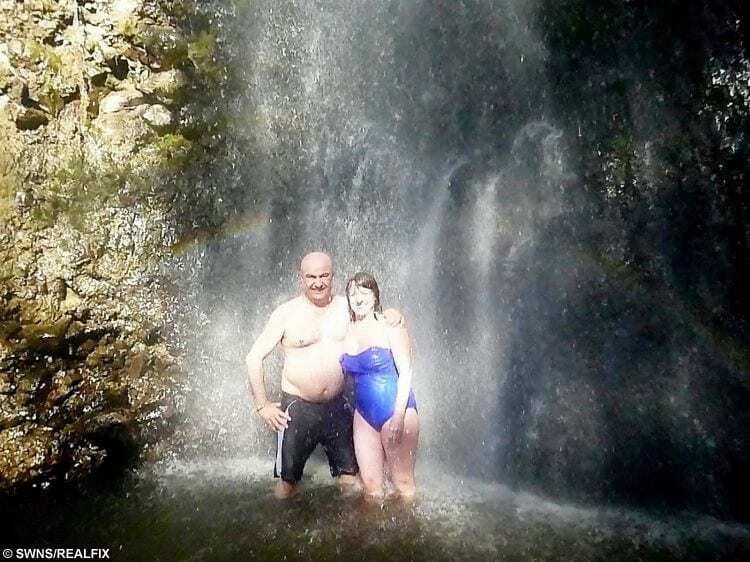 Ron Flewett and wife Maxine in St Kitts on honeymoon. But in February, a specialist warned the couple they may have to crack on with their mission as within a year Ron’s lung capacity could drop to such an extent he would have to be placed on the transplant, meaning he wouldn’t be able to travel anywhere. So, in early March they spent five days in New York, taking in a Broadway show, the Statue of Liberty and other tourist attractions. 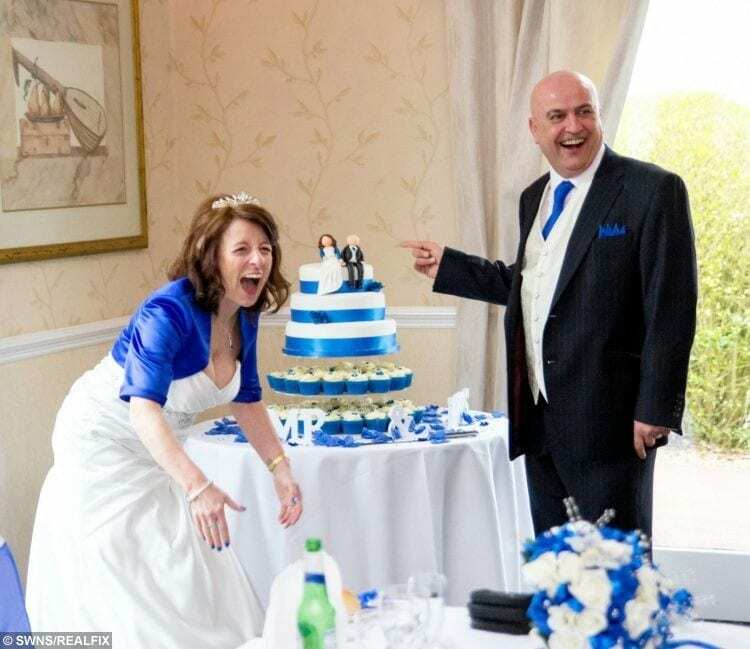 Not long after returning Ron and Maxine sealed their love by tying the knot at Barndale Hall Hotel in Oakham, Rutland. 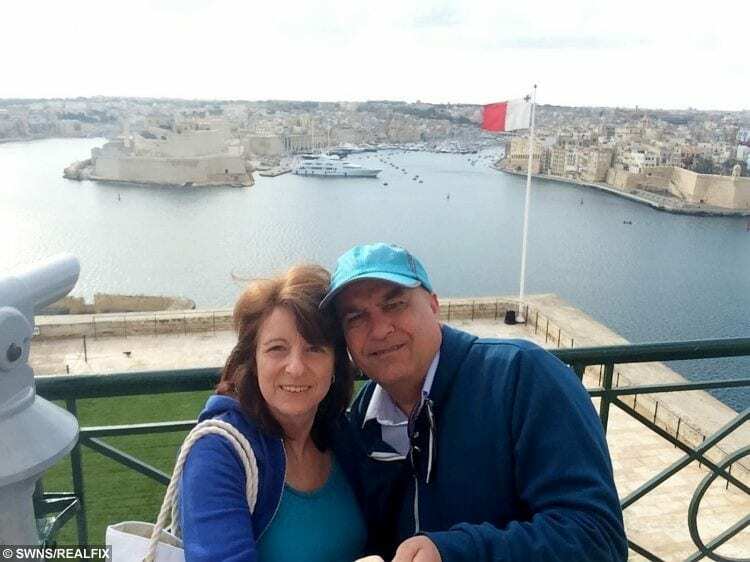 Ron Flewett and wife Maxine – Valetta Malta April 2017. Days later they set off on another cruise through the Suez Canal, which also took in Jordan, Greece, Mallorca, Gibraltar and Spain. A cycling holiday in Scotland and a zip wire in Snowdonia, Wales followed in mid-June, and on Thursday June 28th, Ron heads off to Lisbon and Brussels. July will see them sail from Southampton to the Norwegian fiords, off to Iceland and back to Dublin, before returning to the Hampshire port. In September, they will fly to Vancouver, and take a trip from there to Alaska and the glaciers, Victoria in Canada and on to Astoria in Oregon. November includes a cruise to Gran Canaria and Cape Verde, across to Barbados before they take in Bonaire, Curacao, Aruba, the Panama Canal, Colombia and Jamaica. Ron, who has represented the British Lung Foundation in a bid to raise awareness of IPF, also fancies visiting the Southern Hemisphere to see Australia, New Zealand, Fiji and Samoa, which will hopefully happen early next year. He said: ”I want to visit all the continents and see all the oceans. I just hope I get the time to do them. ”I want to get as many done as possible by February because I don’t know what my health situation will be by then. ”I will do my best to stay inside during most of the winter when we are in England, because I can’t afford to get any infections. Dr Penny Woods, Chief Executive of the British Lung Foundation, said: “Ron is a great inspiration to anyone living with lung disease. Knowing you have a terminal illness can be devastating news, but he is determined to make the most of everyday. ”In doing so, he’s raising awareness of idiopathic pulmonary fibrosis (IPF).